ToolsGroup’s end-to-end, service-driven planning solutions range from machine-learning enabled demand forecasting and multi-echelon inventory optimization to sales & operations planning. Today’s supply chains crave a solution that combines an accurate representation of business uncertainty, an adaptive inventory optimization engine and a near real-time status of inventories and orders. ToolsGroup’s solutions uniquely satisfy this space left untouched by classical supply chain and ERP solutions. We’d like to help you leverage your data and turn risk into opportunity by improving forecast accuracy, mitigating volatility and increasing supply chain certainty. Allocation and Replenishment automatically calculates optimal inventory levels for both existing and new items to create a phased, time-series plan that achieves target service levels even in the face of demand variability and distribution complexity. Demand Planning & Sensing automates the creation of demand plans using machine learning and by incorporating detailed short-term demand signals and demand collaboration, it reduces forecast error and optimally deploys inventory. Inventory Optimization factors in multiple planning variables and probabilities to generate an optimal multi-echelon inventory plan for every item in a portfolio to achieve target service levels. Planning-as-a-Service provides business-focused, technology enabled resources to help customers quickly achieve value from their SO99+ implementation. It accelerates time-to-value over a traditional implement and learn approach. Production Planning provides unparalleled visibility, insight and control of the entire production lifecycle to improve efficiency and quality control, and service demand. Promotions Planning gives cross-functional teams the visibility to synchronize demand shaping campaigns and promotions with supply chain operations ensuring that inventory is in the right place to meet demand on a daily basis, right down to the store level. S&OP provides the critical link between inventory, customer service and business performance by enabling cross-functional planning and bridging the gap between strategic planning and operational execution. ToolsGroup helped us reduce our spare parts stock by 30 percent and we increased our service level from 87 to 97 percent. Even during seasonal demand peaks we are now always able to achieve this exceptional service level." 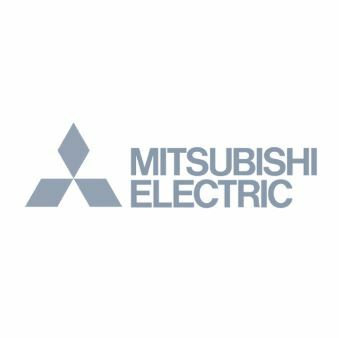 Thomas Schuhmann, General Manager Business Development and Sales Direct Markets, Mitsubishi Electric Europe B.V. If you’re ready to transform your supply chain, get in touch with us today.